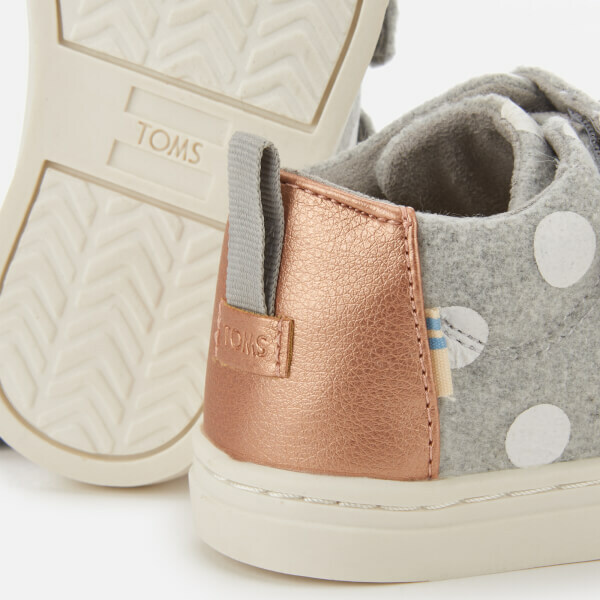 Toddlers' polka dot trainers from TOMS. 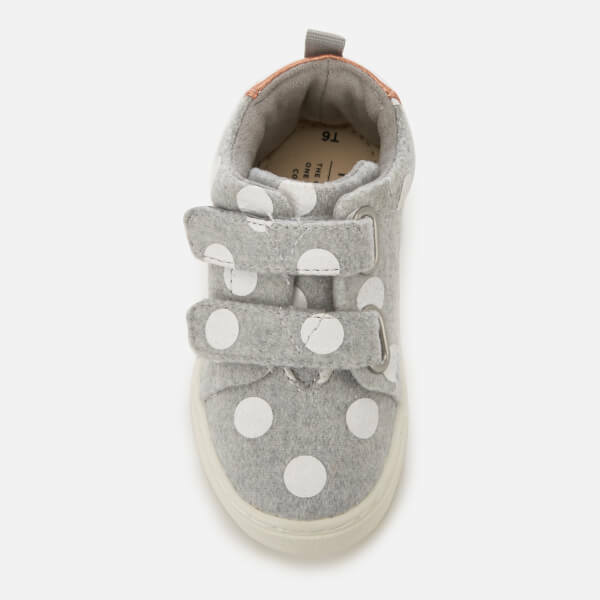 Crafted from soft grey felt with contrast white polka dots, the 'Lenny' sneakers feature a rounded toe, twin Velcro strap fastening for easy dressing and a padded collar for enhanced comfort. Finished with metallic faux leather panel at the heel and a pull loop for entry assistance. Set upon a white rubber sole. Branded heel panel.